Following a long family tradition, we have been making our own exceptional artisanal cheeses for more than 25 years. During this time, our family recipes have become well known throughout the world – all beginning in 1975, when the cheeses of our mother and grand-mother Aletta Den Boer won a world competition for best cheese. Today, our family strives to maintain our ancestral know-how and great tasting specialty cheeses from the Low Country, Netherlands and Canada. In 1992, we built a farm in the village of Thoricourt, Belgium (in the community of Silly). Our home, the cheese shop and dairy, as well as the barn for our cows, were built entirely by our family. 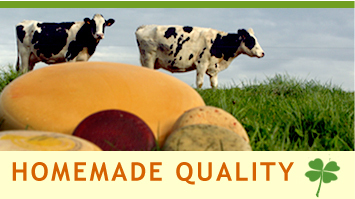 Our cheeses are made exclusively using milk from our cows raised and milked on our property.